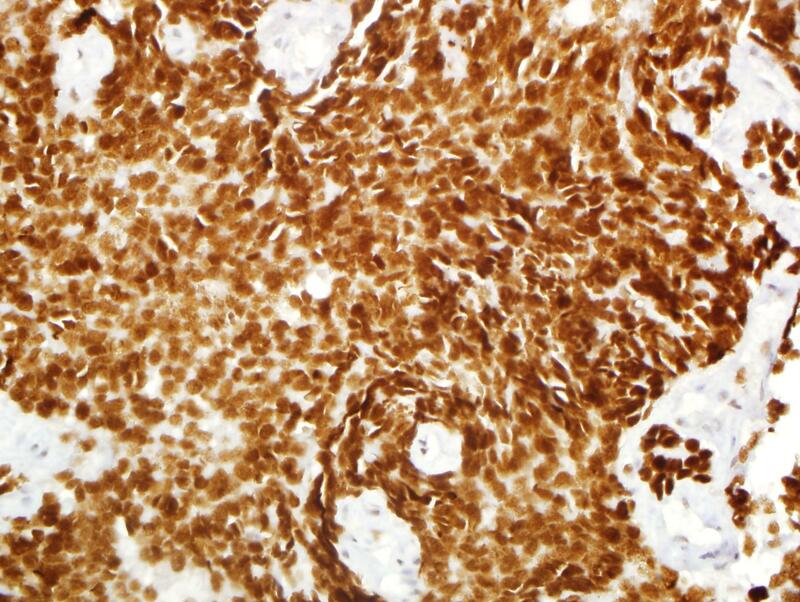 Geisinger IHC: Stains are a good thing. Quality stains are OUR thing! Loss of DAXX in metastatic pancreatic NET. Loss of ATRX in metastatic pancreatic NET. 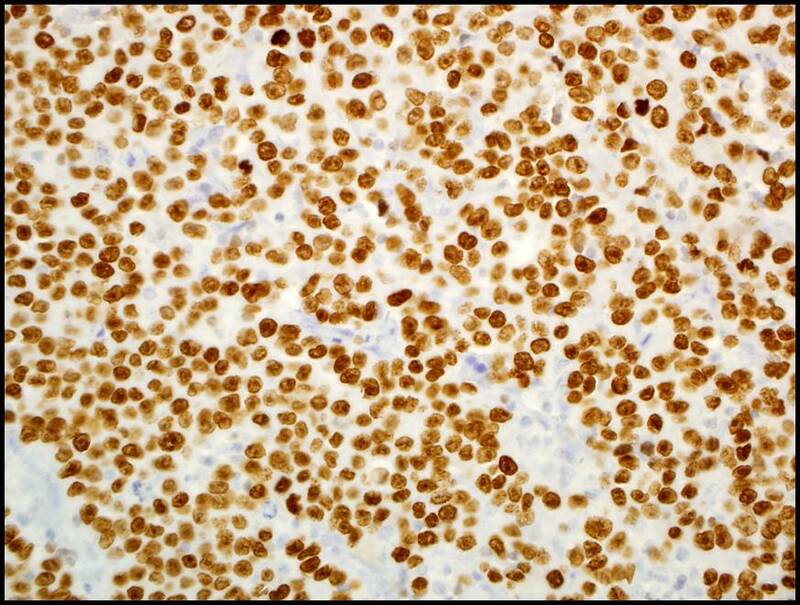 Nuclear staining of a leiomyosarcoma. 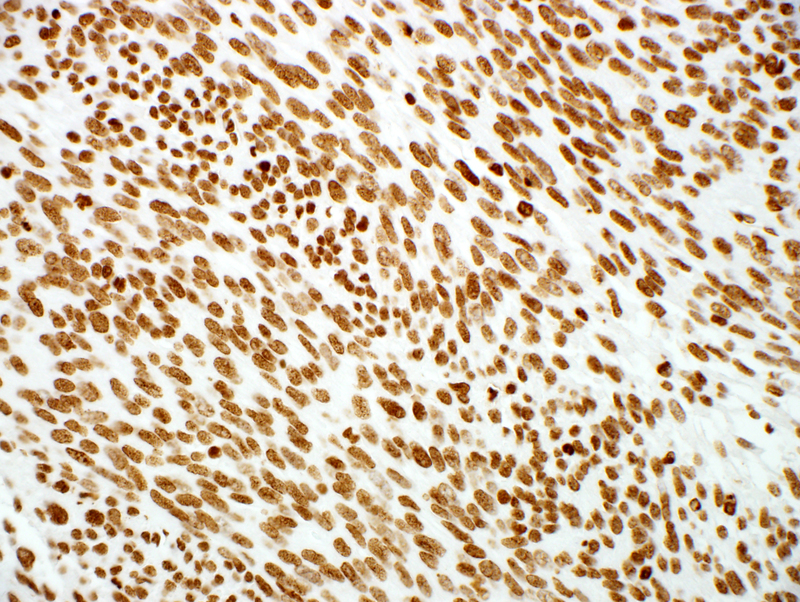 Loss of H3K27me3expression has been reported in 50% of malignant peripheral nerve sheath tumors. Nuclear staining of a yolk sac tumor. Nuclear staining of a yolk sac tumor. PLZF has been reported to be negative in other germ cell tumors. 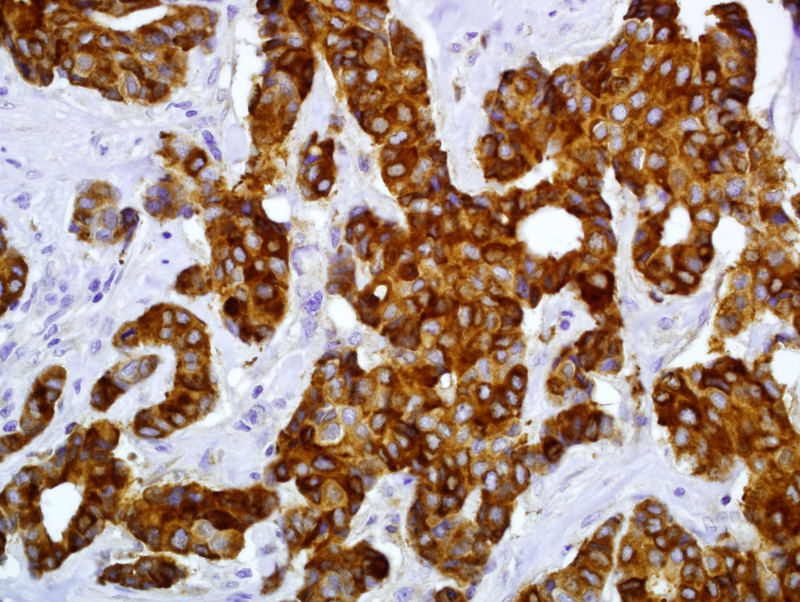 NK3 homeobox 1 (NKX3.1) is a highly sensitive and specific nuclear staining marker for both primary and metastatic prostatic adenocarcinomas (ADCs) and has been reported in virtually 100% of prostatic ADCs. NKX2.2 is a transcription factor with a crucial role in differentiation of the central nervous system and pancreatic islets, which has been demonstrated to be expressed in 93% of Ewing sarcomas/PNETs. 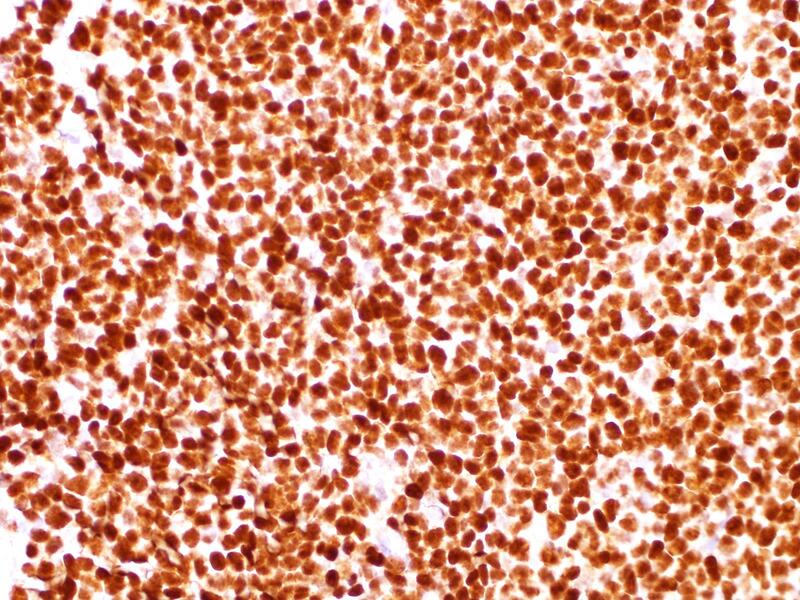 Shown to be a more sensitive and specific marker than CD99 and friend leukemia virus integration 1 (Fli-1) for Ewing sarcoma/PNET based on the limited literature. 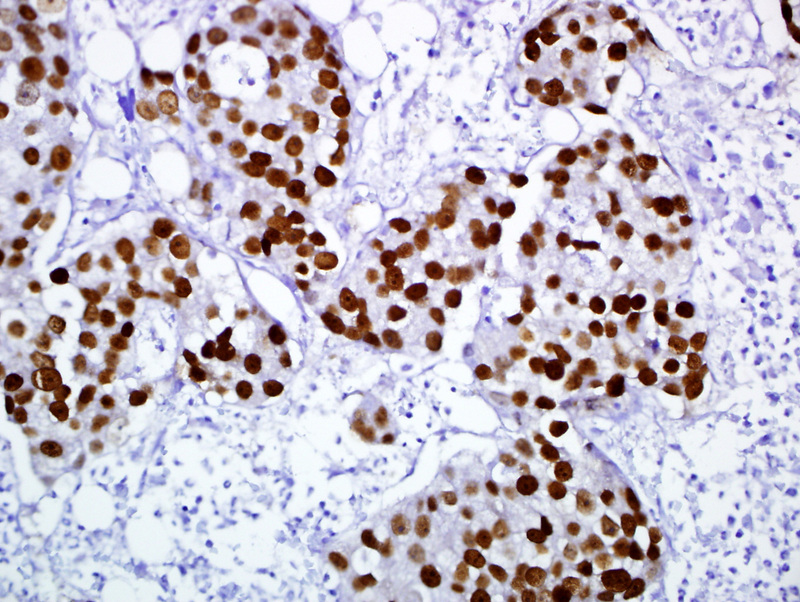 Marker(s) for differentiation of ductal adenocarcinoma of the pancreas from non-neoplastic pancreatic tissues. New marker for intestinal differentiation. 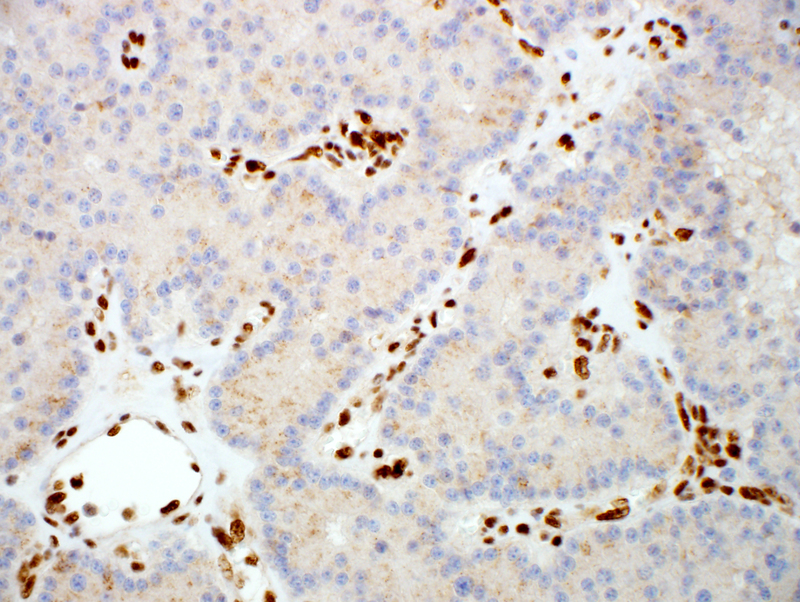 Usually positive in CDX2-, CK20-colorectal cancer. 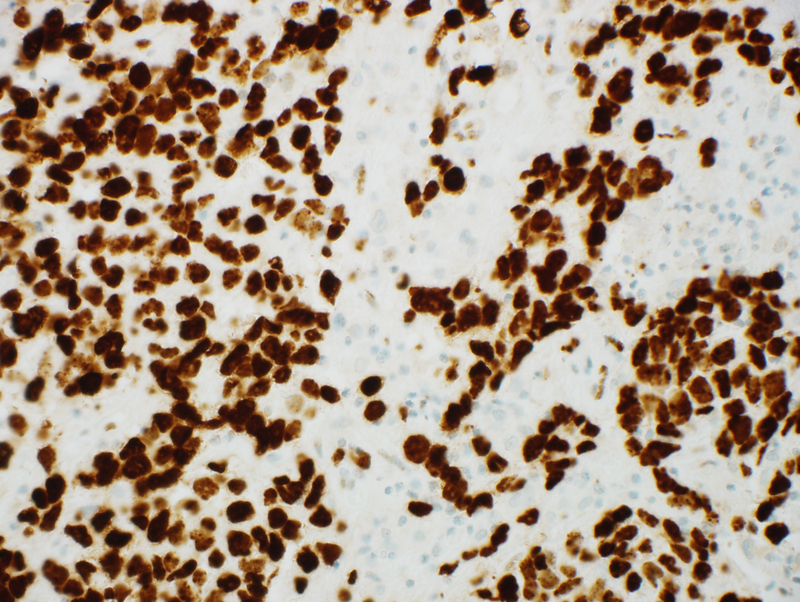 A potential marker to discriminate sebaceous carcinoma from BCC or SCC. 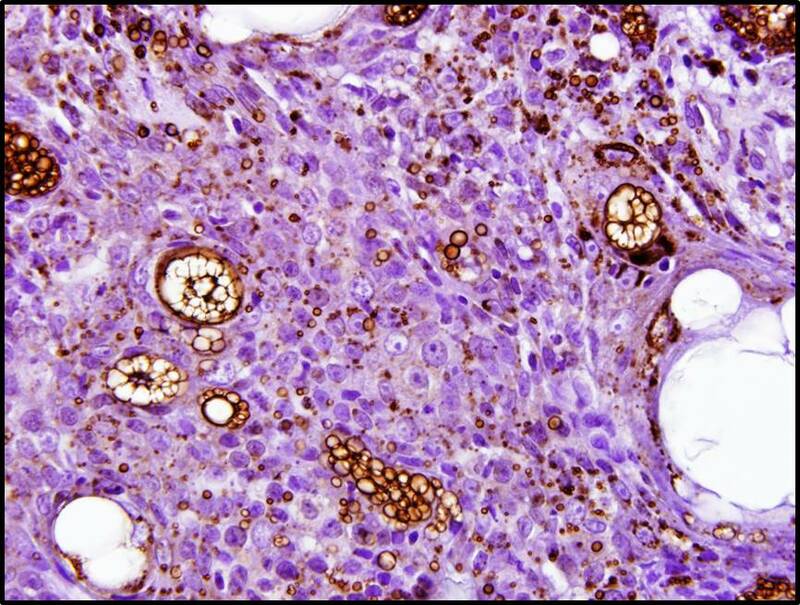 Also positive in xanthomatous lesions and renal cell carcinoma metastatic to skin. 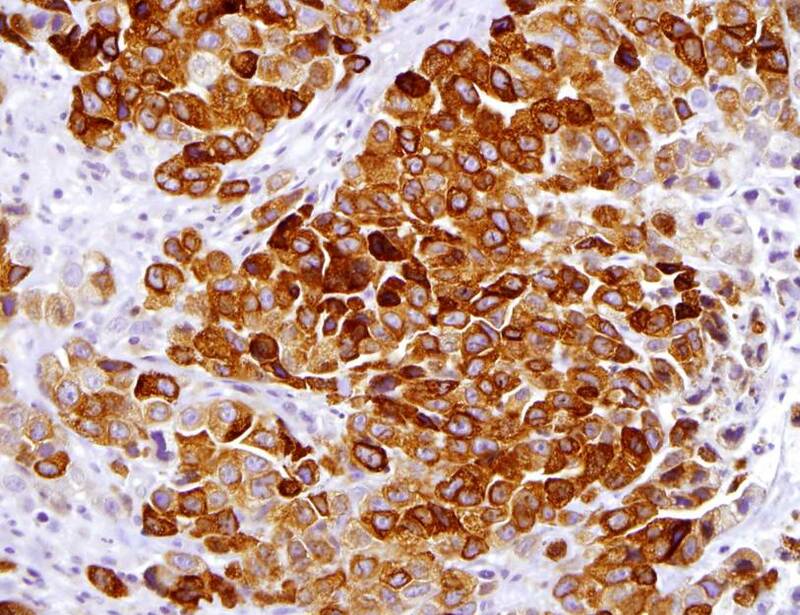 A highly sensitive and specific marker for colorectal carcinomas and osteosarcoma. It is usually negative in upper GI and pancreatobiliary carcinomas and carcinomas from other organs. 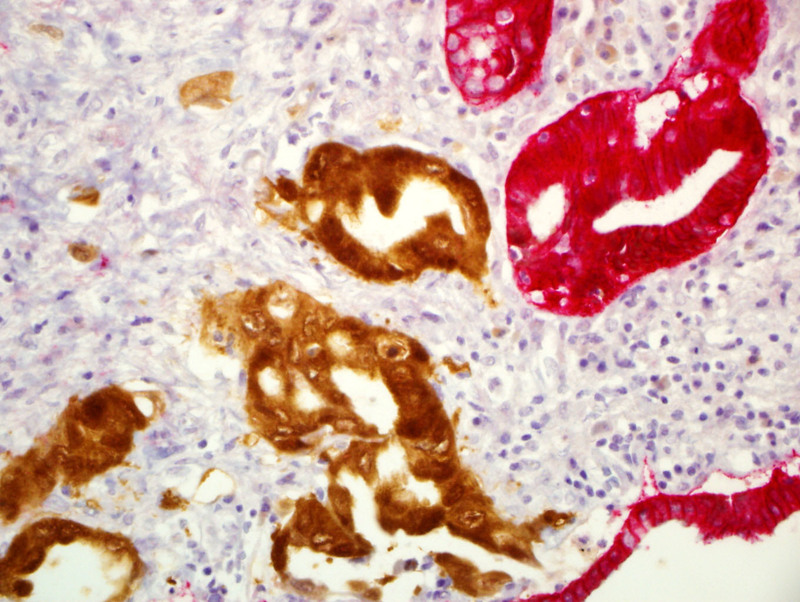 Rare small intestinal adenocarcinoma could express SATB-2. New marker for intestinal differentiation. 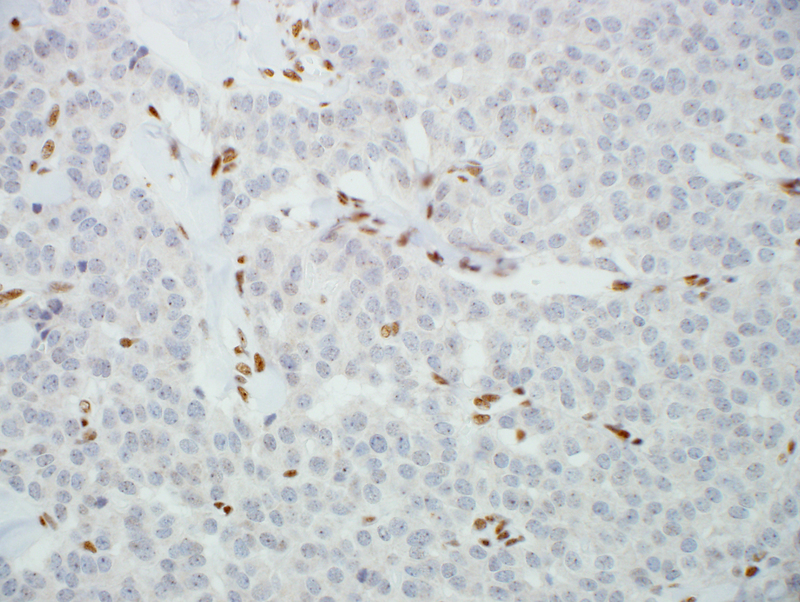 Usually positive in CDX2-, CK20- colorectal cancer. Potential marker to discriminate small intestinal from colorectal cancer. 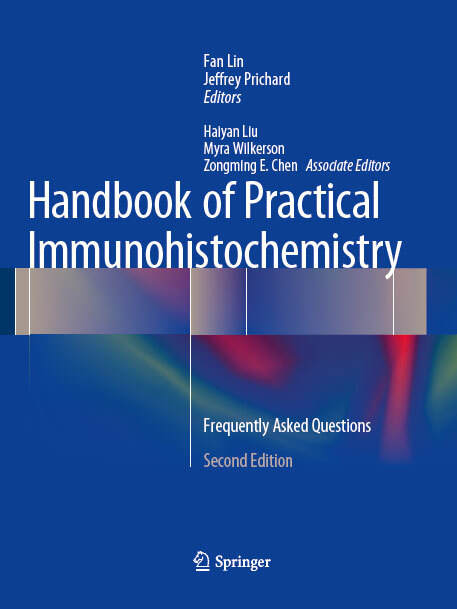 Also a specific marker for osteoblastic differentiation. A new diagnostic marker for papillary thyroid carcinomas (PTC), positive in 90% of cases; usually negative in thyroid follicular adenoma or carcinoma. Also positive in 100% of low-grade non-invasive papillary urothelial carcinomas. 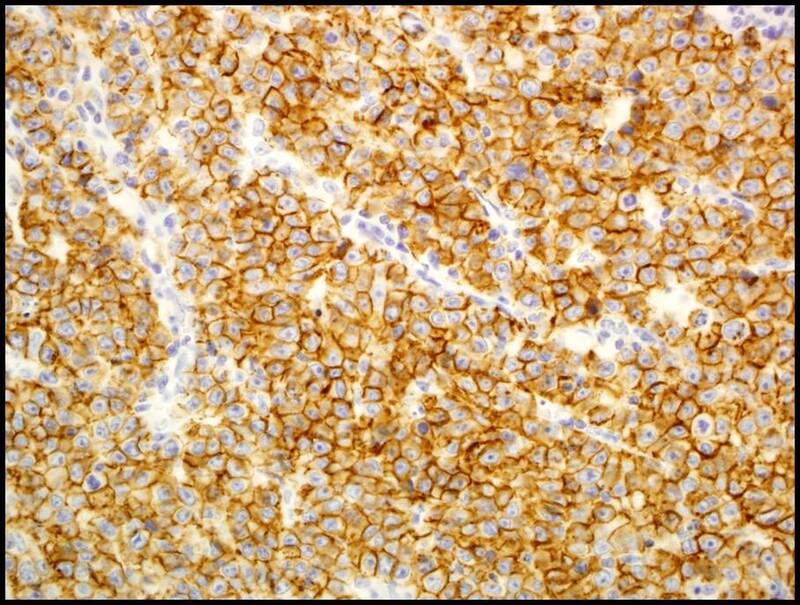 SOX11 is specifically is expressed in the nucleus of Mantle cell lymphomas (MCL) compared with other lymphomas and benign lymphoid tissue and is a useful immunohistochemical marker for both cyclin D1-positive and negative MCL. Increased expression in breast CAs, which is reported in 84% of ductal CAs and 94% of lobular CAs. A useful marker to add to the differential panel to distinguish lung adenocarcinoma (22% positive) from breast CA however less specific than TFF1. Usually positive in breast carcinomas and colon adenocarcinomas, and negative in lung adenocarcinomas, endometrial adenocarcinomas and ovarian serous carcinomas. Click here for a complete list of the stains we perform. 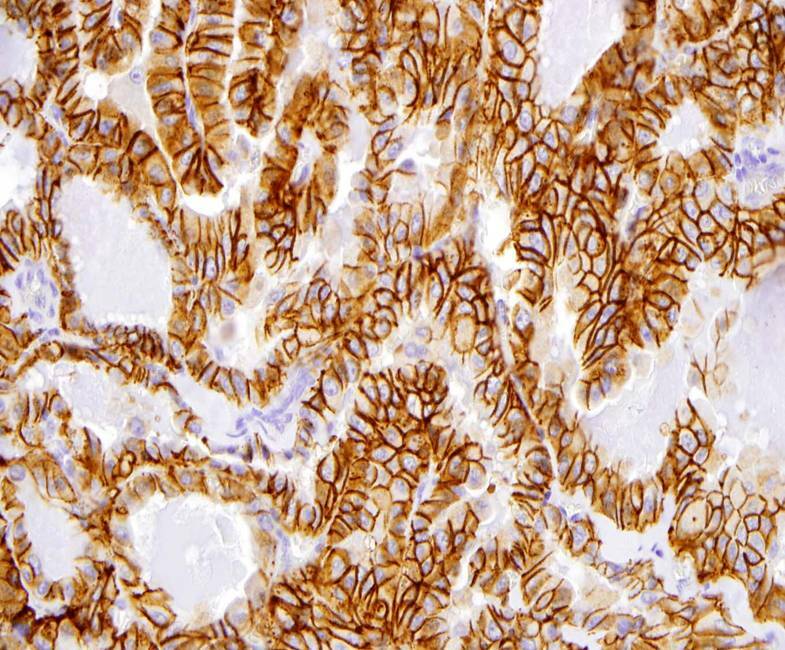 When sending your specimen to an IHC lab, you need fast, accurate and reliable results each and every time. Geisinger IHC maintains a level of excellence in our methodologies, testing controls, and reporting that goes beyond industry standards. 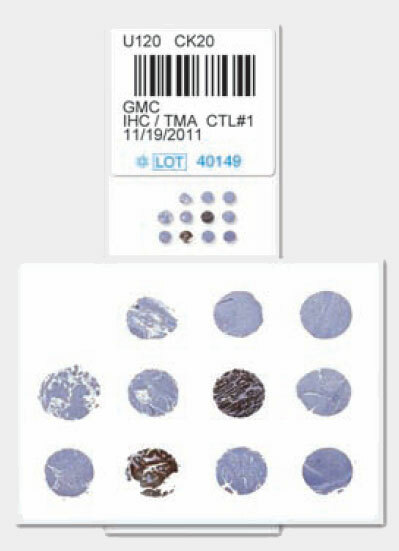 When you work with Geisinger IHC, you can be sure that your test results are accurate, thorough and validated. Geisinger IHC. Be confident in your choice. Specimen submission instructions. Call our Client Services Department at 1-800-695-6491 for additional information. 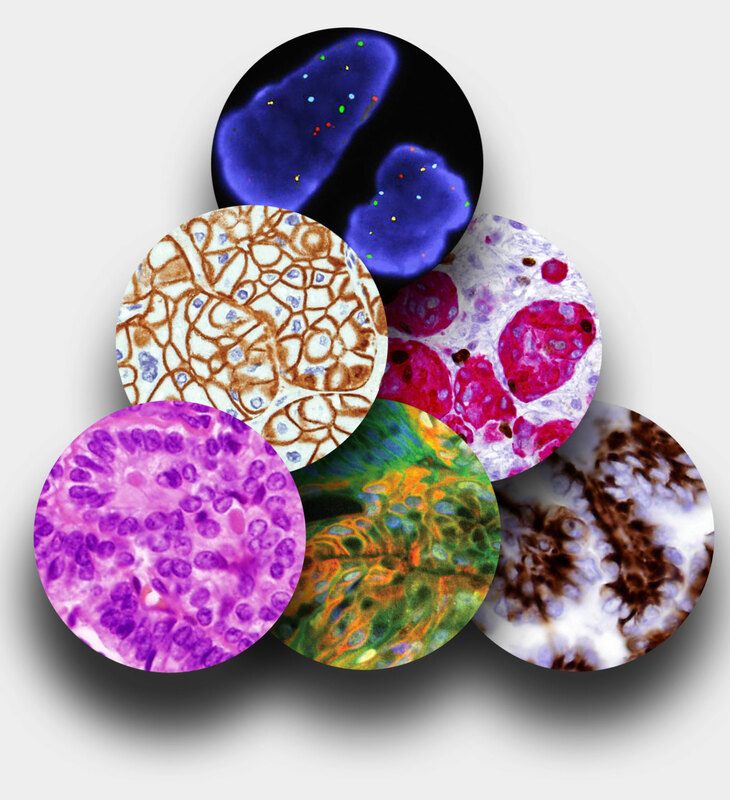 Science: We advance the science of immunohistochemistry. 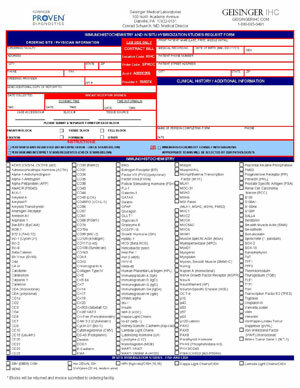 Service: We deliver fast, accurate and reliable results. Support: We provide expertise, information and education.